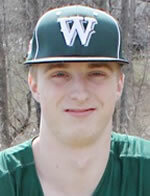 Wellsboro baseball tops Danville, 5-2. Reese's 3 RBI's push Hornets past CV. Hornet baseball tops Williamson, 13-6. Athens tops NEB; Bad 8th dooms Waverly against Edison.